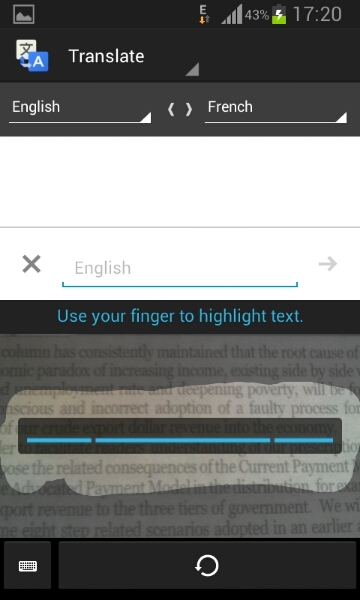 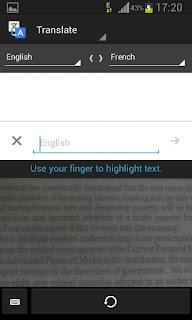 which allows one to translate text, images, voice from one language to another.<br>The Samsung S Translator currently only supports nine (9) languages such as English, Italian, Spanish, French, German, Korean, Portuguese, Mandarin (Chinese), Japanese and is limited to the Galaxy S4 and might come to the Galaxy S3 and Note 2 with a software update. 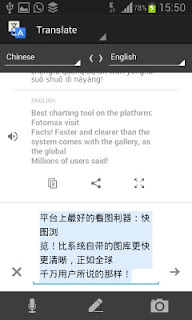 However the Google Translate app does the S Translator one better with support for a massive 60 different languages. 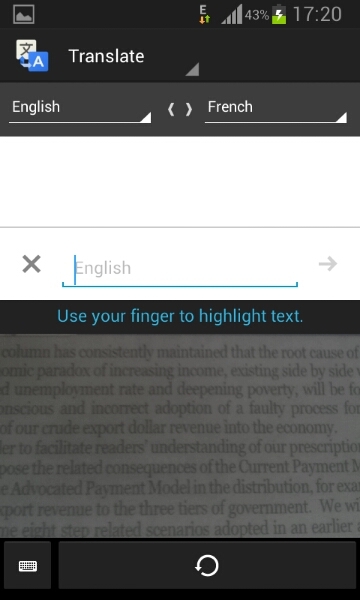 I recently downloaded the app from the Google play store to give it a try and I was immediately impressed by the app. 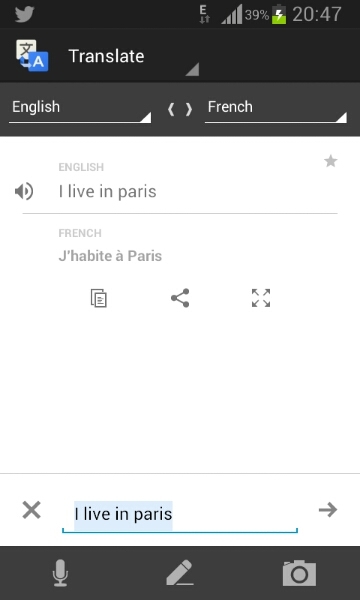 I was able to translate from English to French using the text input box. 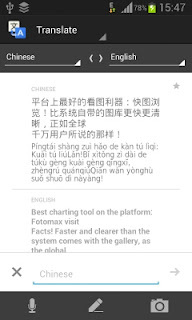 I also translated a text from Chinese into English using the text box. 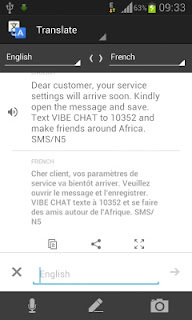 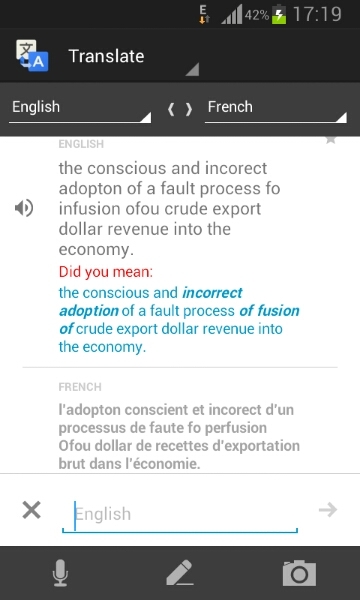 And it handled the translations easily using my data connection. 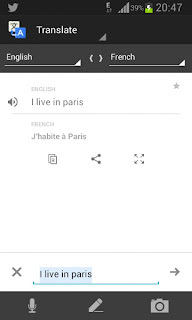 I then tried the voice translation feature, and I was able to accurately translate my spoken words from English to French without any hiccups. The camera translation feature works with typed text or prints, I couldn't get it to recognize handwriting though not matter how hard I adjusted my handwriting. 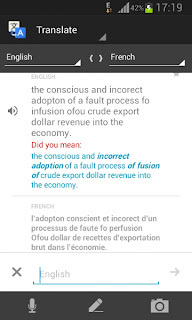 With the camera I was able to translate a section of a newspaper article from English to French. I wasnt able to try out the offline translation, as it required downloading specific language packs, the Chinese language pack was over a 150mb and I wasn't close to a Wi-Fi hotspot. Overall I think the Google translate app works almost perfectly, I would love to see a the text to speech engine that sounds more natural.